A physician assistant (PA) is a licensed medical provider who diagnoses illness, develops and manages treatment plans, prescribes medications and often serves as a patient’s principal health care provider. PAs practice in every state and in every medical setting and specialty, improving health care access and quality. PAs receive thousands of hours of medical training and are versatile, collaborative members of the health care team. Rush University’s PA program offers an innovative 30-month curriculum that provides its students with an excellent training experience. Your first 12 months will include lecture, small-group discussion and case-based training to prepare you for clinical rotations. The unique clinical training that follows gives you opportunities in a broad range of clinical practice areas, as well as in your area of focused practice. 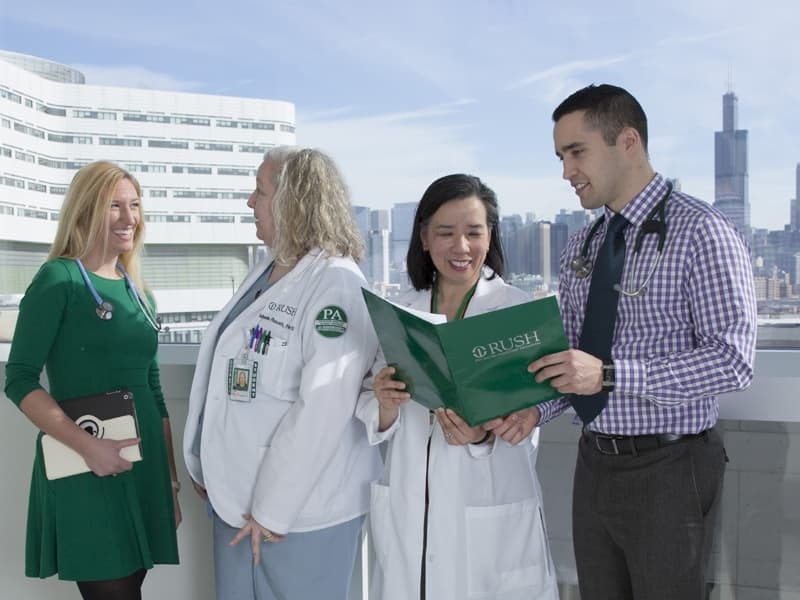 Advanced practice training opportunities in various fields of clinical practice prepare you to take leadership roles in clinical practice, research and service. Intensive academic, research and clinical training offer a comprehensive clinical learning experience. Working with PA mentors throughout all phases of training enhances your learning experience. The Rush University physician assistant studies program is ranked among the best in the nation by U.S. News & World Report. 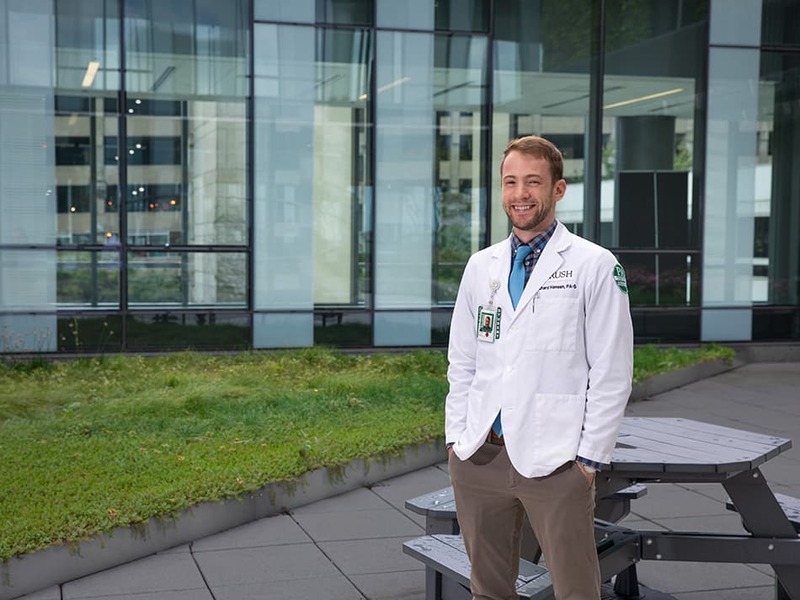 Find out why Richard chose Rush’s physician assistant program. Learn more about the Master of Science in Physician Assistant (PA) Studies program at an on-campus or online information session.